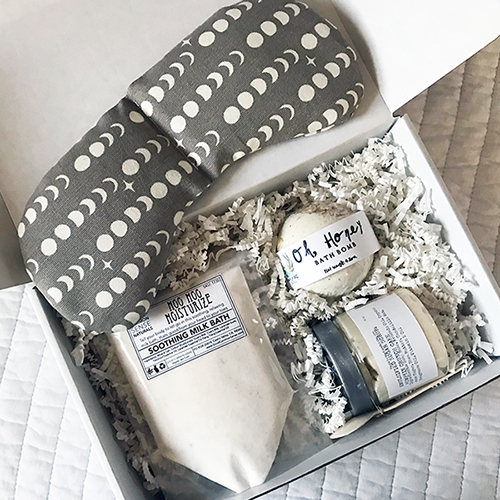 Our Blissful Bath Gift Set is sure to soothe and rejuvenate. First soften and revitalize skin by drawing a milk bath. Second add extra luxe with the honey bath bomb that is infused with essential oil. Third scrub away any negativity with the sugar body scrub. Finally, apply the migraine relief eye mask either warm or cold to ease away any pain and tension.